Kahanda Kanda in Sri Lanka's south, set on a working tea estate. A true hidden secret of Sri Lanka; welcome to Kahanda Kanda in the country’s south, set on a working tea estate. Nestled amongst the misty slopes of a tea estate, this tiny resort by British interior designer George Cooper offers a unique Sri Lankan experience. 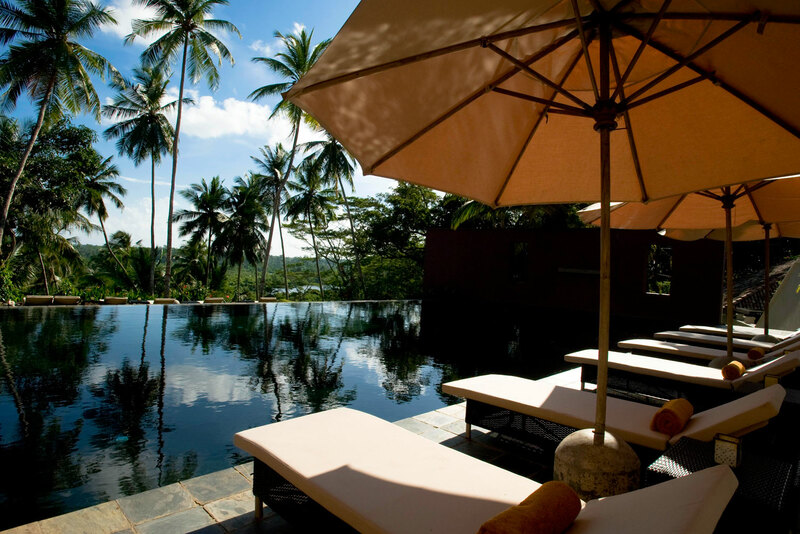 Surrounded by farming land, it feels like the middle of nowhere, but is still just a few kilometres from the roaring southern beaches and Galle. There are eight spacious villas for sleeping, each with canopied beds, cosy daybeds built into window bays, and pillow-strewn rattan couches for lounging while sipping on the estate tea. Soak up the views from your private deck or from the 20-metre infinity pool surrounded by ancient rain trees and lily-filled ponds, or indulge in the well-stocked library of books and magazines. Behind the mysterious allure of Oman and more!